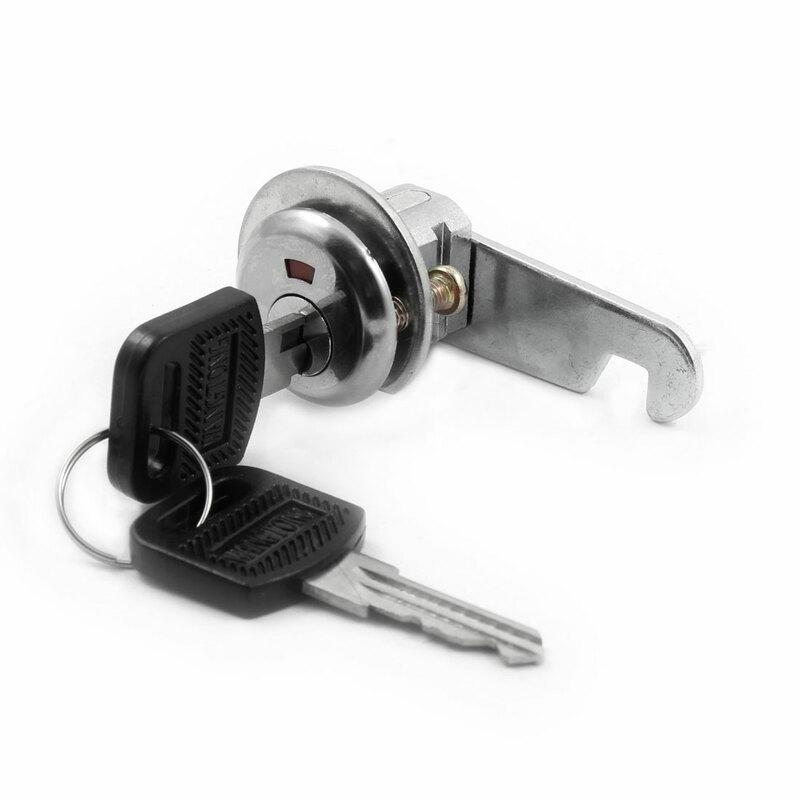 This is a furniture lock, specially designed to improve security of door or drawer. Simple to install and can easily deter break in. Ideal accessory for household use. Total Size: 24 x 32mm/0.9" x 1.3"(D*H); Mounting Hole Diameter: 10mm/0.4",4mm/0.2"
Key Size: 5.9 x 2 x 0.4cm/2.3" x 0.8" x 0.2"(L*W*T); Fit For Cabinet Thickness: 26mm/1"
Screw Size: 6 x 12mm/0.2" x 0.5"(D*L); Mounting Hole Distance: 1.6cm/0.6"